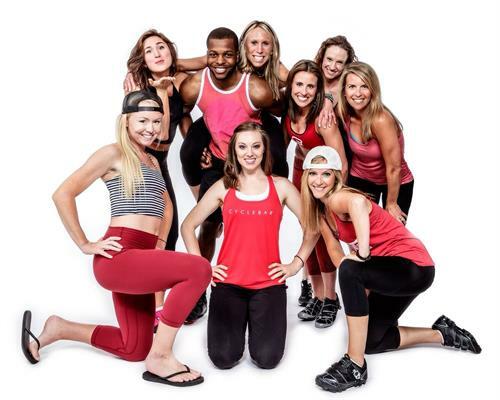 CycleBar makes indoor cycling fun and entertaining for people of all ages. 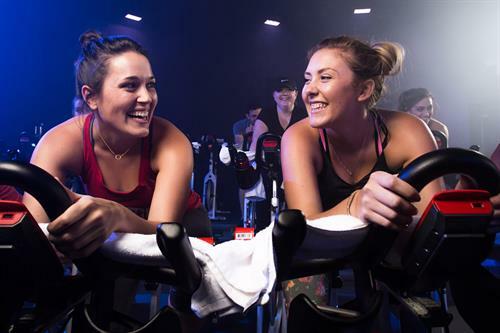 Your CycleBar experience begins by selecting your class and reserving your top of the line bike online using the electronic device of your choice. At the appointed time, you and your fellow riders will enter our Cycle Theatre. 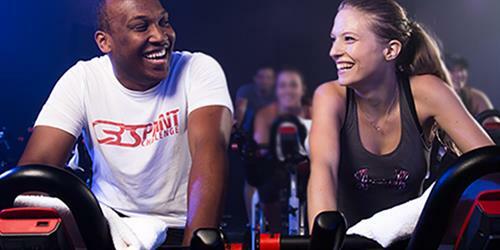 There, for 50 minutes, you will be led and entertained by one of our CycleStar instructors – part DJ, part teacher, wildly energetic and motivational, backed by a vast library of music and videos combined with a premium sound system and high-definition big screen televisions to produce a pedal-turning, adreneline pumping mountain of exuberance and perspiration. Time will fly…45 minutes will seem like 10…before you know it you will have a cold towel on your face and you will be deciding whether to stay for refreshments and a chat with your new friends or hustle into one of our 7 showers for a quick turnaround to the rest of your day, but you will be back, because it will be the most fun you will ever have burning more than 1000 calories.